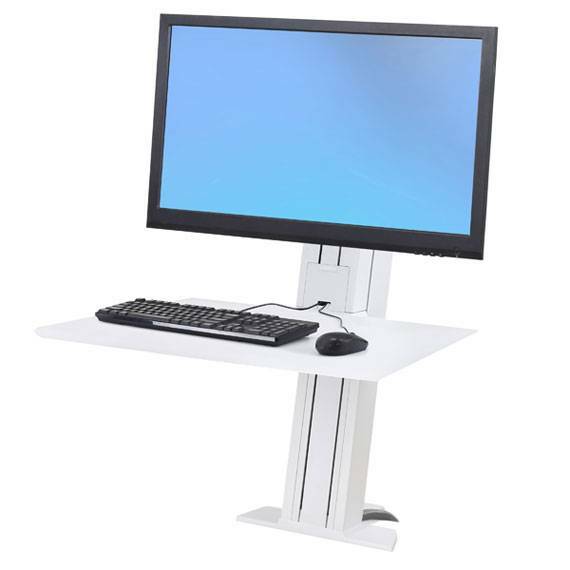 An Ergotron sit to stand solution for compact spaces and taller uses with single screens. 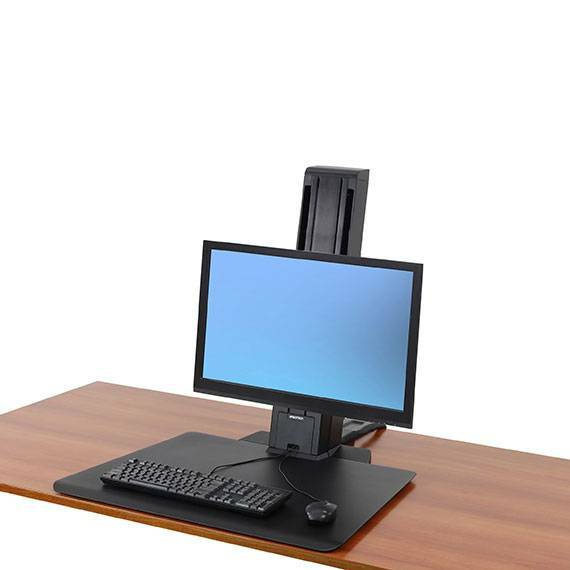 This model is optimized to accommodate a single screen at either 24inc or 30inch display size. 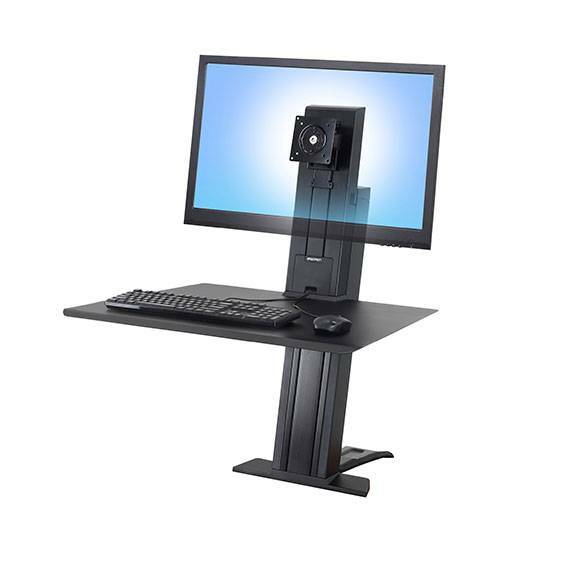 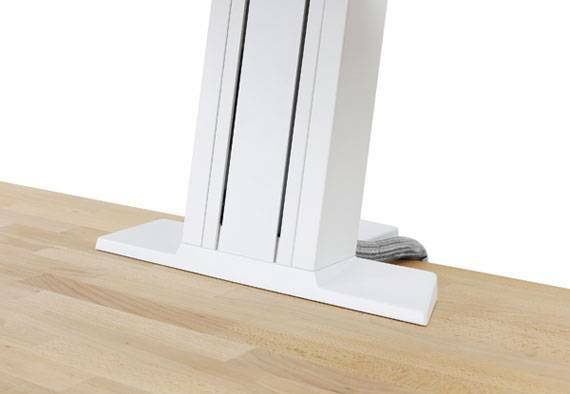 The ergonomic design offers 18" (45.7 cm) of in-tandem height adjustment for monitors and keyboard, with an extra 5" (13 cm) of independent lift for monitors. 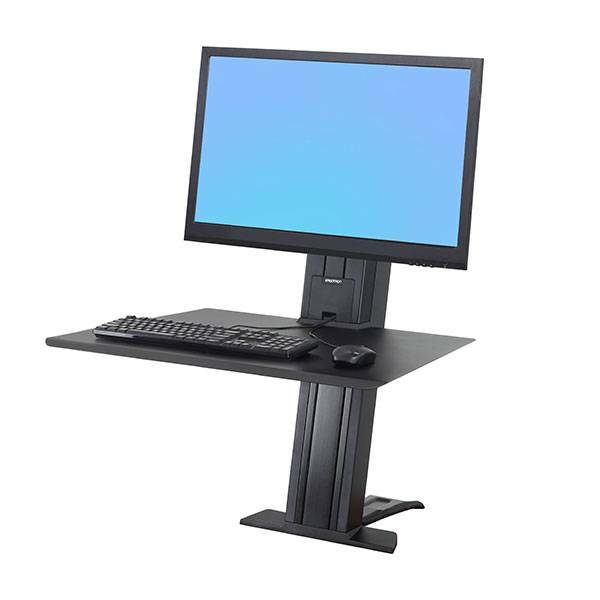 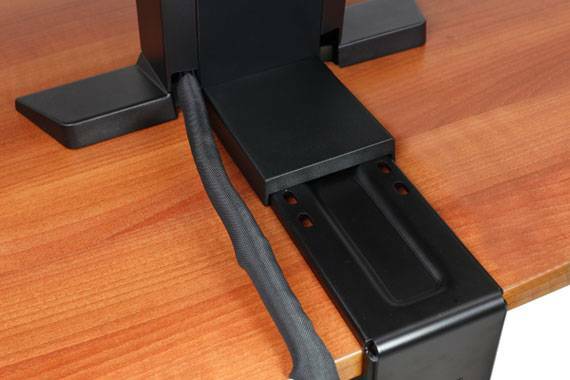 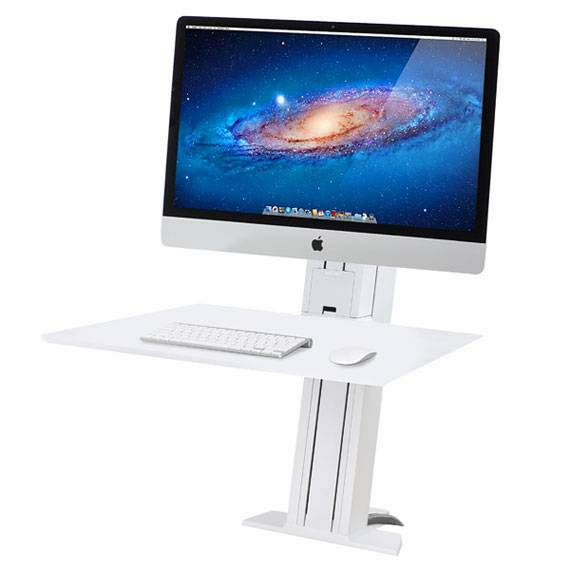 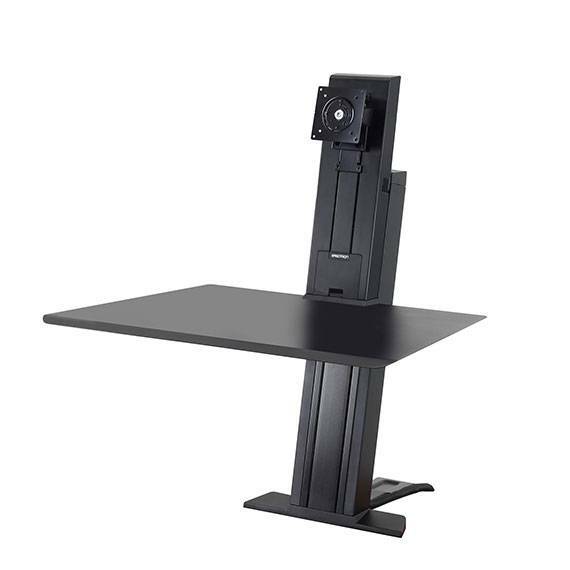 Holds single screen at either up to 24inch or 30 inch.